One Minutes are videos of exactly 60 seconds. 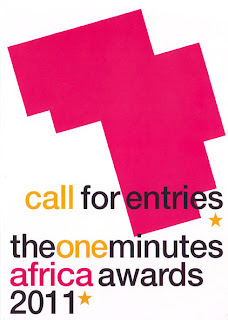 You can now send us your One Minute videos for the first ever One Minutes Africa competition! 8 videos in each category will be nominated for an award. Prize winners will be invited to the awards ceremony hosted by the Town House Gallery in Cairo, Egypt this coming September. Entry forms and further details on our web site.